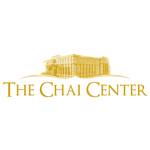 Want to keep in the loop on the latest happenings at The Chai Center. Subscribe to our mailing list below. We'll send you information that is fresh, relevant, and important to you and our local community. 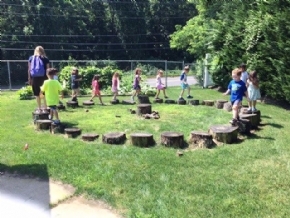 Our natural playscape area is designed to give our preschool and summer camp children a wonderful and purposeful connection with nature and the outdoors. For the fifth consecutive year, our Nature Explore Classroom has proudly been certified by The Arbor Day Foundation. 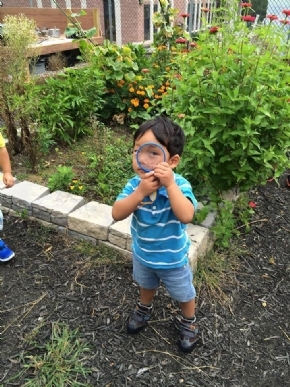 Our unique outdoor classroom includes a vegetable garden planted by the students, a bike path, sand box, creative materials area, playground area, a spray park, and a fully equipped mud kitchen to encourage creative and sensory play. 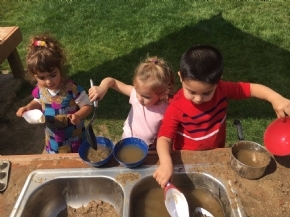 This past year, we focused on a “farm-to-table” concept and utilizing our outdoor playscape in all types of weather. 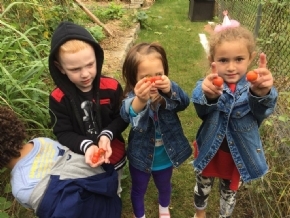 The children actively participated in the process of planting fruits, vegetables and flowers with their teachers and a Chai Center member volunteer and delighted in bringing home what they grew. 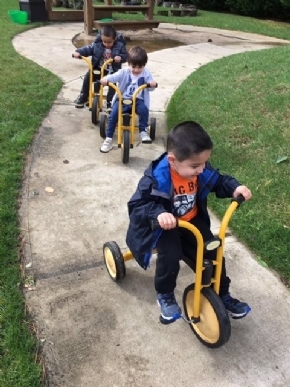 As snow started to fall, the children planned different explorations outside. In the mornings, they would come in with all of their snow gear packed, eager to get outside. 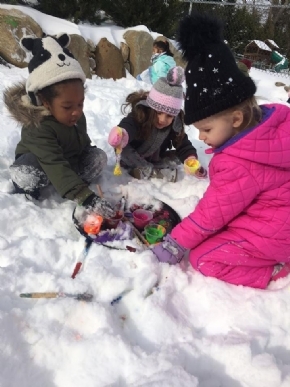 In fact, after reading a book about penguins painting in the snow, the children brought paint outside with them and started painting the snow all different colors just like the penguins in the story did. Our nature garden could not have been possible without the guidance, work and expertise of Robin Bliss Goldstein, Paz Manyevitch, Randy Zerner, and Frank from Greenland Landscaping and Nursery Inc. Thank you so much!